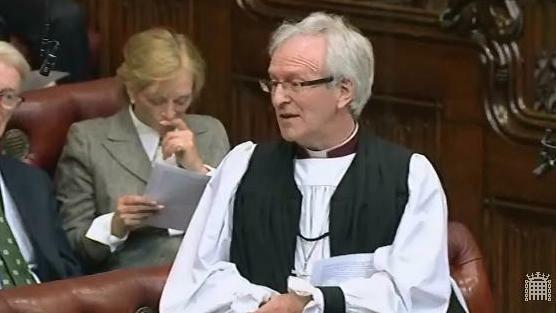 On 18th November 2013, the Bishop of Birmingham, the Rt Revd David Urquhart, asked a question in response to a Government statement on the Commonwealth Heads of Government Meeting and the Philippines typhoon. The question was answered by the Leader of the House of Lords, Lord Hill of Oareford. and that the emergency response should look into the much more serious long-term effects of these kinds of climate changes. The second matter is the understanding that is growing in the use of quick aid into resilience. For example, Tearfund investigated the Government’s expenditure in Malawi. It noted that for every £1 spent, £24-worth of infrastructure, resilience, and the ability to cope not just with ordinary difficulties but with disasters can be achieved. Will the Government please take into account these longer-term matters so that we are stronger when the next time comes? Lord Hill of Oareford: The right reverend Prelate makes an extremely wise point about the long-term future. I am grateful for what he says about the short-term response, although, as he rightly says, a lot of that is down to the natural generosity and human feeling of the British people in terms of their charitable response. The Government are glad to have been able to play their part alongside them in increasing the amount of aid that they have made available. The right reverend Prelate is obviously also right that there is a difference between the short-term crisis response and what one can do longer term. As he has said, DfID was working with the Philippine Government prior to the emergency on some of the issues which he mentioned which come from climate change. Certainly, helping those countries invest in homes and infrastructure that in future would be better able to support some of these natural disasters is the wise thing to do. I am sure that through the work of DfID, the Government will continue to reflect on that.